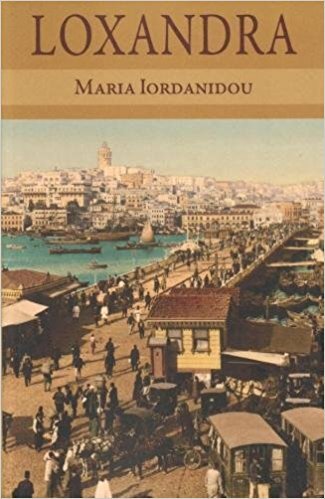 Loxandra of ‘big arched feet and slim ankles‘, of ‘big hands like those of a patriarch...hands for kissing, fingers long and shapely, made to bless and to smell of mahlepi and incense, hands made for giving’, was born, it is said, in the times of Abdül-Medjid I, the 31st Sultan of the Ottoman Empire, who reigned from 1839 to 1861. Life for the Greeks of Constantinople was relatively untroubled then. The 19th century was the time of reforms which established, on paper at least, the freedom of belief and equality of all citizens of the Empire before the law. Greeks were able to avoid conscription into the Ottoman army by paying a moderate tax, their merchants and craftsmen continued to ply their trades, and business between East and West moved along good-naturedly enough. The 19th century was also marked by a period of rising nationalism in the Balkans but Loxandra was only partially aware of external events that did not immediately intrude on her life. Her life was centred on caring for her extended family. Brought up in the Anatolian tradition of love of good food, culinary delights flowed from her hands and her kitchen as from the horn of plenty and her generosity and enthusiasm for life and food was not confined solely to her family but spilled over to whomsoever she had contact with. However, Loxandra is not simply a story about Loxandra herself: more it is an evocation of an epoch — its historical events, the spirit of those times, the customs, life in that ‘Queen of Cities’ — a background against which the irrepressible Loxandra, almost larger than life, sailed like ‘an armed frigate before the wind’. The Greek edition of Loxandra, first published in 1963, has been perhaps the most acclaimed popular publication in Greece of the 20th century and has remained continuously in print. This first English edition includes extensive endnotes on contemporary events and traditions, and a glossary.